Female entrepreneurs are certainly a force to be reckoned with – and 2016 is their year. Today, about 37 percent of global enterprises are owned by inspiring, dedicated women. From supporting their own communities to contributing to global wealth, they prove that there’s no barrier when it comes to success. Want to know their stories? Here are 27 of today’s amazing female entrepreneurs. Author, publisher, philanthropist, Mom to Norbert the Dog. As a registered therapy animal team for the past six years, Julie and Norbert have spent many hours volunteering at hospitals, nursing homes, schools, fundraisers, and homeless shelters to bring comfort and smiles to people of all ages. Julie’s work with Norbert has been featured on Time, People, Wired, HLN, Huffington Post, AOL, InStyle, Oprah.com, Paper Magazine, and Brides.com, among others. Julie has built a global audience with Norbert of nearly one million highly-engaged followers, known as The Norberthood. Through Facebook, Instagram, Twitter, YouTube, and Vine, Julie consistently promotes kindness and compassion, while inspiring Norbert’s dedicated and passionate fans to spread smiles to others. Norbert has become a worldwide phenomenon and a captivating symbol of goodness and generosity of spirit. Julie has appeared multiple times on Hallmark Channel’s Home and Family Show. Her segments have been enthusiastically received by viewers, as she shared real-life aspects about her work as an author and animal therapy team, and also as a newlywed bride with her husband, celebrity and show co-host, Mark Steines. Julie has worked with major national brands and non-profit organizations such as Conde Nast, iTunes, Disney, The Hilton, Natural Balance, Boot Campaign, Pet Smart, and more. Most recently, her company created a “You Buy One, I Give One” Norbert plush toy campaign to benefit the Marine Toys for Tots Foundation. Co-founder of award-winning Devour Spain food tours. Lauren Aloise fell in love with Spain quickly. She spent a semester abroad there, and returned to Spain as soon as she could after graduating from the University of Massachusetts, Amherst. That was back in 2009. Since then, she’s gone from Cadiz to Seville to Madrid, and she’s now the co-founder of Devour Spain, an award-winning food tour company operating in Madrid, Barcelona, Seville, and Malaga. Not only is Devour Spain doing well, it’s also spreading a lot of good. While competitors in the market chose to cut corners (establishing their Spain-based businesses abroad, and therefore not paying Spanish taxes, not telling Spain’s full story, and demanding that Spanish establishments give discounts in exchange for bringing tourists their way), Lauren pushed forward to become a leader in responsible tourism. Her company’s core values are not about rapid growth or revenue. Instead, she wants to focus on community, passion, unique experiences, and small businesses. Not only does this benefit the local communities where tours take place, but guests also get a more authentic look into Spain. Lauren’s tours give travelers a real look at Spanish culture and food, which is a narrative tourists often miss due to bright signs screaming out paella, free flamenco shows, and sangria. Devour Spain invigorates the local community, and it makes falling in love with Spanish food and culture easy, just like it was for Lauren back in 2009. With her goals in mind, Lauren’s company is now the highest rated food tour in Spain. With more than 1,000 five-star TripAdvisor reviews, her one food tour in Madrid has grown to more than 12 in four different cities. Each tour is filled with local, family-run businesses that have been in the family for years, and they’re led by local experts who love their city. Craving for more? Check out her social links at Spanish Sabores, Facebook, Instagram, Twitter and LinkedIn. CIO of Global Risk Technologies. She’s one of the inspiring female entrepreneurs, author, and business leader who specialize in cyber technology, e-commerce, transactional security and payment-processing solutions for online businesses. 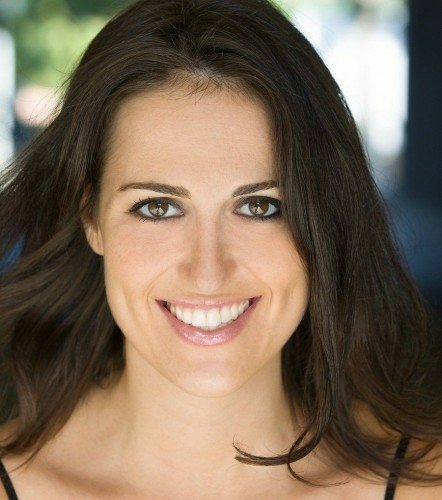 Monica Eaton-Cardone graduated from high school at age 16 and sold her first business by age 19. A serial-entrepreneur, she later became an e-commerce merchant, selling products over the Internet. This was when Monica experienced “chargeback fraud” for the first time. Monica searched for a company to protect her from chargeback fraud, but to her astonishment, no such company existed. So she studied chargebacks and became an expert herself, launching her own company, Chargebacks911, in 2011. Over the last five years, Chargebacks911 has established itself as the world’s leading fraud-mitigation, loss-recovery and chargeback-risk solution for online businesses. The company has been profiled in numerous media outlets, including The New York Times and The Wall Street Journal. Monica currently serves as the Chief Operating Officer of Chargebacks911. 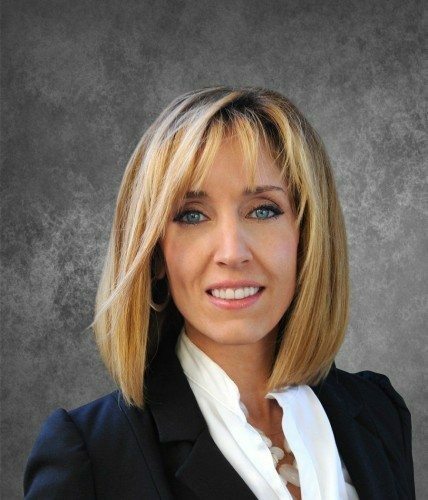 Under her leadership, Chargebacks911 has grown to over 350 worldwide employees, with offices throughout North America, Europe and Asia. It was also recognized by Inc. Magazine as one of fastest-growing private companies in the United States. Chargebacks911 manages over 200 million transactions every month, helping thousands of online merchants increase sales and decrease fraud. Concerned about youth literacy rates, Monica also founded the charity, “Get Paid for Grades.” This innovative charity offers financial incentives to struggling schoolchildren. “Get Paid for Grades” is offered in four Tampa Bay high schools, and hopes to expand. 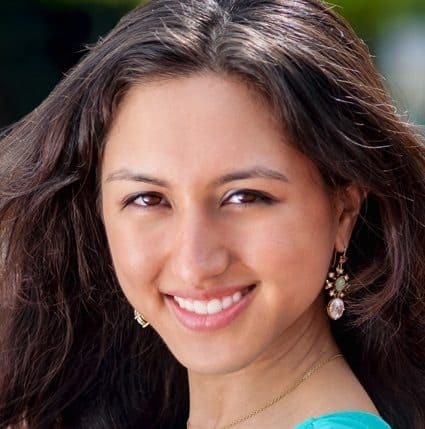 Know more about her work on Twitter, Facebook, and LinkedIn. LaKitia Woodard is an ambassador of “Girl Power” possessing a passion for empowering women and holds a MBA Global Management. For over 10 years, she’s motivated and captivated women on personal development. Her passion blossomed during her matriculation at Clark Atlanta University when she joined the group Youthful Survivors traveling across country sharing her story of surviving sexual abuse. During her career, she unmasked the ugly truth to most problems among women: lack of self-awareness. In order to solve this issue, she has joined forces with her sister and created A Sister’s Truth (AST). AST is a sister coaching business for teaching women the importance of accepting their personal flaws to promote growth and happiness. AST specializes in personal development to support women on accepting their authentic selves for living within their purpose. These sister coaches inspire women to Discover, Define, and Live their Truth to begin their journey of clarity for living a meaningful life. AST is different from other coaching businesses because of the sister relationship established with every client. A Sister to Sister relationship has a unique balance between telling the hard truths and providing the support needed for a sister to get through a situation. It’s easier to hear and digest information, advice, and tough love from a sister because of the irreplaceable bond that’s developed. More importantly, developing the sister relationship helps each client to feel safe to dive deep within herself to reach the root of her fears. The relationship formed between sister coach and client is uncompromising and provides encouragement and support during periods of change in the client’s life. The alliance is flexible, fluid and driven by the client. The goal is to give every client the opportunity to move forward with a focus on a life of truth, discovery, and empowerment. This is done by teaching seminars, coaching sessions, digital courses/classes, and Sister Pep Talks. These are tools used to assist clients with finding their confidence to embrace themselves and move forward in a positive manner. Want to feel empowered? Look up more information on the website, Twitter, Periscope, and Instagram. Plus get a freebie for your community! Olaide Olambiwonnu is a COO of Performetric, an early stage B2B SaaS startup that has developed a solution for companies looking to reduce stress, improve alertness, and boost productivity of their employees. Performetric is a real-time fatigue monitoring system that utilizes machine learning to detect and manage mental fatigue in a non-invasive and non-intrusive way. This improves the quality of life, wellness, mental health, and individual performance of employees. This translates into positive impact on the organization’s productivity as well as an increased quality of life and better health of staff. 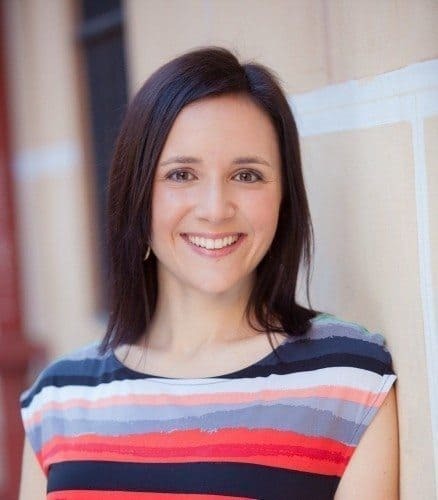 She has experience working with early-stage startups on business development, product-market fit, product development, go-to-market and overall business strategy. Prior to Performetric, she earned her MBA from MIT Sloan School of Management. 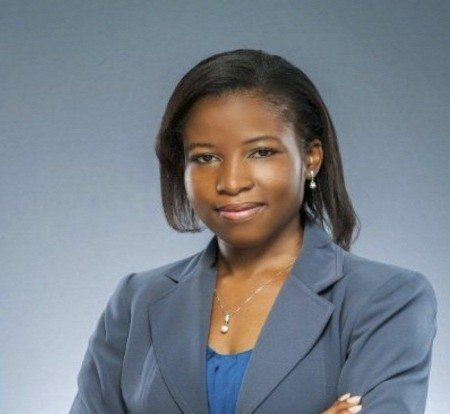 She has engineering experience working as a as a Firmware Engineer at Western Digital as well as a Radio Frequency Engineer for L-3 Communications. Besides the MBA, She graduated with honors with a dual B.S. in Electrical and Computer Engineering from Cal Poly Pomona and an M.S. from University of California, Los Angeles (UCLA). Know more about Peformetric at Twitter, Facebook, and LinkedIn. 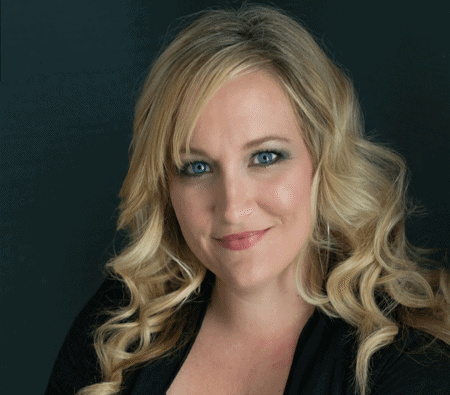 PR strategist, award-winning mentor, speaker and author. From cyberbullying to societal pressure, 21st century teens face challenges that generations before them may have never imagined. But they also have unlimited resources and opportunities to live powerfully. Founded in 2010 by award-winning mentor and communications professional Rasheda Kamaria Williams, Empowered Flower Girl is on a mission to empower young people to live above bullying and drama and transform the way they relate to one another. Over the past five years, the social enterprise has partnered with over 50 organizations, schools and companies, reaching nearly 1,300 students, parents and educators. 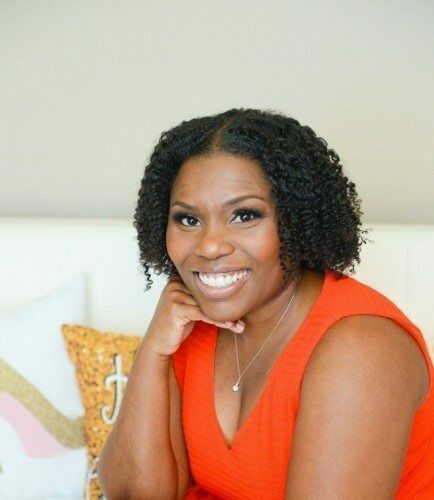 As the founder and chief empowering officer for Empowered Flower Girl LLC, Rasheda works with schools, communities and families seeking solutions to cyberbullying, relational aggression and other social/communications challenges facing youth. On Oct. 13, the company launched its first guidebook and journal “Be EmPOWERed: How to Live Above and Beyond Life’s Drama,” written for an inspired by girls. Rasheda was motivated to write the book after her experience as a mentor. Since 2001, she has personally mentored 7 girls ages 5-19 years old. “Be EmPOWERed” is packed with inspirational prose, thought-provoking questions, written activities and notes pages for journaling. Once teased and bullied by classmates, Rasheda found a way to embrace and ultimately celebrate her “weirdness.” The book reveals her journey from excluded to emPOWERed and how she got there with help from trusted adults, mentors, friends – and ultimately, herself. Truly one of the most inspirational female entrepreneurs of our time. Learn more about her work at Empowered Flower Girl at its website, and on Facebook, Twitter, and Instagram. Lori Cheek is the founder and CEO of Cheekd, a dating app that allows you to see and interact with your matches in real time. Her story is incredible: she’s couch-surfed, sold all of her clothing, and endured a pretty rough experience on Shark Tank – all in the name of building her baby. Her tenacity is truly an inspiration. Cheekd sets itself apart from other apps because it gives you the option to interact with a match before starting a virtual relationship with the compatible user. After setting up your page and what you’re looking for, Cheekd will then send you notifications when a potential match is nearby. Instead of encouraging users to continue to hide behind a screen, Cheekd pushes you to engage in social settings while paying attention to potential matches in the area. Our new dating app gives us the power to light the spark face-to-face first and leave the talking for later. As Cheekd uses Bluetooth, it doesn’t require an Internet connection to function. Lori, coined as the “Digital Dating Disruptor” is an inspiring, warm, down to earth, fierce, driven, and very independent women. There’s so much female entrepreneurs can learn from Lori’s spirit and drive. She has been her own publicist and champion since the beginning, landing herself in the New York Times, Wall Street Journal, Huffington Post, Success Magazine, Inc. Magazine, and Forbes Magazine, just to name a few. Lori Cheek doesn’t sit and wait for people to notice her, acknowledge her or even encourage her. She goes out there and throws herself into the center of it all, knowing very well that people may reject her, criticize her, and ignore her. She doesn’t care because she believes in her entrepreneurial journey and her start-up. Her dedication is an inspiration to others to go after what they want, never give up, and remain committed to their passions! Keep an eye out for this gal. She’s out to blaze some serious trails and there’s absolutely no stopping her. Interested? Find our more from iTunes, Facebook, Twitter, and the Cheekd website. The ClaudiaG Collection officially launched in 2012, when Claudia Gutierrez created her first handbag line, selling to women nationwide in small tradeshows and boutiques. In 2014, Claudia attended a conference about direct sales. Inspired by the chance to empower other women to take control of their own careers, she completely changed the ClaudiaG business model repositioning the company for strong future growth with female enterprisers joining her team throughout the country. Claudia Gutierrez has always harbored a desire and a sense of responsibility to help those in need and envisioned empowering women by giving them an opportunity for financial independence supported by a flexible schedule. As a wife and mother, she knows firsthand the challenges women face in juggling a career, family and personal life. She began designing jewelry and small fun handbags at home, selling them to friends and family. Based on the women’s fantastic reaction, Claudia soon realized she could offer the same opportunity to others as way of gaining financial independence, without sacrificing the responsibilities and joys of family life and community involvement. Claudia has had hardships of her own all throughout life. So when she started ClaudiaG Collection, she was determined to make a difference in the lives of others who are going through hardships of their own. Claudia knows that her success is in great part measured by what her company shares, and that is exactly why giving back is a core value and mission for ClaudiaG Collection. Through the ClaudiaG ShareMyShare program, a portion of every product sold goes toward different organizations around the globe to support women and children in need. Each ClaudiaG bag includes an exclusive keychain that serves as a daily reminder that each purchase makes a difference. To learn more, visit the official website, and its social media links on Facebook, Twitter, and Instagram. Single mom, philanthropist, podcast host, and multi-business owner. Blair Nicole is a single mom, philanthropist, multi business owner, podcast host and full time traveler. She started her business in 2010 when she was broke, pregnant, and sleeping on a twin sized racecar bed at her dad’s house. In less than three years, she had created a successful PR business, called Media Moguls PR, that allowed her to travel full-time and do what she loves most: helping others. By day, she helps startup companies take their business to the next level through multi-channel media relations campaigns. In her spare time, she serves on the board of directors for three non profits and hosts local charity events in and around Salt Lake City, UT. In 2015, Blair sold everything she owned and hit the road with her 4 year old son to become a digital nomad. She volunteered for various causes while she traveled, and continued to serve clients in her PR firm while she worked remotely. She traveled everywhere from California and Mexico, all the way to New York and New Orleans. Connect with her and her cause through Twitter and LinkedIn. Stuntwoman, Visionary, and CEO at Fancy Fortune Cookies. Grieving for him while supporting their 4-year-old daughter and still showing up for work every day. Then surviving all the financial surprises pertaining to the business as well as a million dollar medical bill incurred by her husband. Happily, in the ensuing four years, she has carried on and continues to expand her thriving company. She loves the great feedback she gets from customers of all types: from brides who used her cookies for favors, executives who promoted events with custom fortunes, to Kate Bosworth who ordered personalized fortune cookies as gifts for her cast and crew. As an active participant in the Indianapolis business community through Rotary and NAWBO, Erin is an inspiration to other single moms who think there aren’t enough hours in the day to juggle staff meetings, new product development, corporate sales calls, a special order for Amy Poehler, help with third grade math, an overdue haircut, and just getting dinner on the table before bedtime. Most of all, she’s proud that she’s modeling for her daughter a life of a strong independent female entrepreneur. See what’s baking at Instagram, Pinterest, Facebook, and Twitter! CEO of Nara Logics, Jana Eggers strives to inspire those around her, including her employees and many young women who are interested in the technology field. Nara Logics is a synaptic intelligence company with the only solution to make context sensitive adjustments to recommendations to help companies make smarter business decisions and give the reasons behind them. Synaptic intelligence, a new branch of artificial intelligence, combines neuroscience and computer science. Jana leads Nara Logics as an incredible learning organization going beyond the normal career progression. Nara Logics as a company understands that thinking hard requires time to blow off steam or just recharge. Every few months, Nara Logics plans fun outings as a team like kayaking, ice-skating, and even out-of-the-box adventurous outings like white water rafting. Jana is a marathon runner, so she knows that exercise is a key component to relieving stress and improving happiness. This is why Nara Logics offers gym memberships, in-office yoga classes, team happy hours, a regular running group and movie nights, etc. In the office, Jana inspires employees to do their best work by making the office a comfortable environment. They have adjustable standing desks and whiteboard walls, regular team breakfasts and lunches, and an “inside outside” room (decorated like a forest), where employees can escape to relax on bean bags. Eggers is a strong advocate of attracting more women into Artificial Intelligence and STEM fields. She walks the walk – 40 percent of Nara Logics staffers are female! She speaks regularly at related industry events nationally and internationally. She believes the first step to immersing more young women into this field is educating them at an early age — and often speaks to community groups to entice young minds and diverse community members to join this red-hot field that’s typically male-dominated. Most recently, Jana spoke about the possibilities of AI for young enthusiasts at the Museum of Science and Geek Girl Tech Conference in Boston. As a woman in Artificial Intelligence, Jana thrives on inspiring others to do their best and bringing diversity to the workplace. She is passionate about leading an office of hardworking and happy employees. Mompreneur, speaker, author and fitness expert. Founder of FIT4MOM. 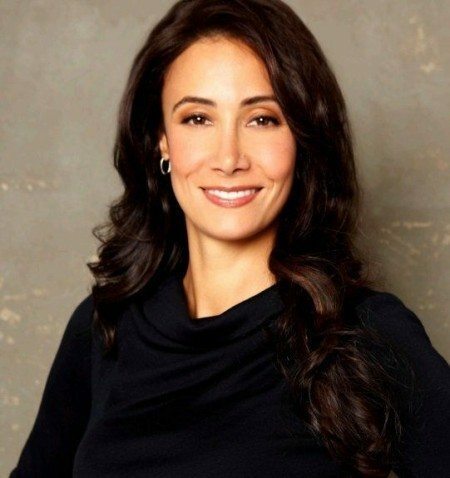 Lisa Druxman is a nationally recognized speaker, author and expert in the field of fitness, as well as the founder of FIT4MOM, the world’s largest wellness company with programs exclusively and thoughtfully designed for moms. Druxman is best known for her dedication to raising healthy moms and healthy families. In 2001, Druxman became a mom and an entrepreneur. She was looking for a way to blend her passion for fitness with motherhood. “I decided to create a workout that I could do with my baby,” she recalls. “I didn’t want to miss a moment of his new life but also knew that I needed to take care of myself.” It was one beauty of a brainstorm. She created an exercise routine for new moms and realized that other mothers would benefit from working together to restore their well-being. An inspiring mompreneur, Druxman expanded the FIT4MOM brand into a community that provides women with physical and emotional empowerment through “Strength for Motherhood.” As the umbrella for Fit4Baby®, Stroller Strides, Stroller Barre® and Body Back®, FIT4MOM is one of the fastest-growing franchise businesses in the country. Entering her 15th year of successful business and inching closer to her mission of positively impacting a million moms, Druxman leads FIT4MOM in bringing exercise, companionship and support to thousands of moms around the country. Druxman lives and relishes the FIT4MOM mission statement every day, “Helping moms make strides in fitness, motherhood and life.” In 2017 she will also release her second book and launch FIT4MOM’s first App that will help guide and support new moms. She lives in San Diego with her husband, son and daughter. For more information, go to her website; or connect with her on social media via Twitter, Facebook, Instagram, and LinkedIn. Don’t forget to tune in to her Motivating Mom Podcast! Founder and CEO of Nomiku. She is a the CEO and co-founder of Nomiku, a San Francisco-based startup that is pioneering the most powerful sous vide immersion circulator. Firmly believing that every person should have the ability to make amazing food, Lisa is using sous vide–a once exclusive method of cooking due to high cost–as the first step in eradicating all barriers between a person and a perfectly cooked meal. An immigrant from China, Lisa’s passionate love affair for food led her through Michelin star restaurants in New York City, before she decided to pursue making a sous vide device that would allow any and everyone to cook a restaurant-quality dish, no matter their skill level. After leading two successful Kickstarter campaigns, totaling in over $1.3M, the award-winning Nomikus can now be found in homes and restaurants all over the world. 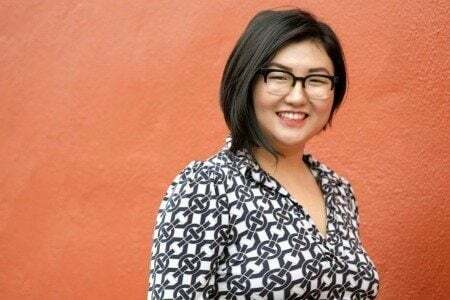 Her achievements with Nomiku have earned her a spot on Forbes 30 Under 30, Zagat 30 Under 30, recognition as an honored Maker at the first-ever White House Maker Faire, among many other accolades. Creating a hardware product with a team of less than a dozen was no easy feat, and Lisa shares everything that she has learned with fellow entrepreneurs, schools, and the public at large. Lisa is regularly asked to give speeches on topics ranging from crowdfunding, start-up life, and creating one’s own American Dream. As a female minority and immigrant to this country, Lisa has so many facets of herself that are easy to identify with and are easy to be inspired by. As Nomiku continues to grow, Lisa is confident that her footprint on the foodtech world will only continue to grow. Lisa will also be releasing her first cookbook, Sous Vide at Home, available wherever books are sold. Get to know her better on Twitter, Instagram, and Facebook. President CEO at ACCESS Nursing Services and ASK-ACCESS Sensory Kids. Louise Weadock was a 30-something mom of two young children — one with autism — when she founded ACCESS Nursing Services from her apartment in Manhattan in 1985 by harnessing the considerable executive and clinical know-how she gained over 10 years in clinical practice and six years as an executive with large chain organizations. Now, more than 30 years later, ACCESS is the third largest female-owned business in New York, and is in the top three percent of successful companies in North America. A child psychiatric nurse and a single mother of two, Louise continues to retain 100 percent ownership of ACCESS Nursing Services, which has grown to a national, full-service healthcare services company with an operating budget of $50 million. With five city-center offices and seven hospital-based offices employing more than 2,000 caregivers, ACCESS now enjoys a reputation as a leading regional provider of healthcare personnel to individual patients as well as prestigious healthcare systems throughout New York, New Jersey and Maryland. Louise considers her greatest strength to be her ability to listen to her clients’ concerns and develop the most effective Nursing Workforce Solution, tailored to meet their individual needs. 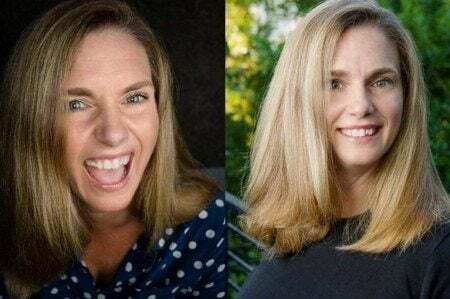 A graduate of the Johns Hopkins Bloomberg School of Public Health, Louise is on the Board of Johns Hopkins School of Nursing and she is considered a thought leader in the area of Autism Spectrum Disorders. Louise is a top competitor who loves to win, in business and in life. In addition to her numerous professional achievements, her personal trophy case contains awards for tennis, golf, skiing, marathon running, boating, hiking, biking and swimming. Louise resides in Westchester County, New York. Founder and CEO at The Jackfruit Company. Founded by social entrepreneur Annie Ryu, The Jackfruit Company’s mission is to transform healthy eating, farmers’ livelihoods, and humanity’s eco-footprint for the better. Annie was first inspired to create The Jackfruit Company while on a medical student mission trip to India when she came across her first jackfruit. Native to southern India, jackfruit is a low maintenance, high yield tree crop which produces the largest edible fruit in the world, so when Annie learned that jackfruit was underutilized and going to waste, she was determined to find a way to help local farming families leverage this resource and farm it to its full potential. Since launching The Jackfruit Company, Annie has built a growing network of over 350 farming families in southern India. By creating a first of its kind direct-to-farm supply chain for jackfruit, Annie and The Jackfruit Company enhance household incomes and help to reduce waste. The Jackfruit Company’s product line includes BBQ Jackfruit, Teriyaki Jackfruit, Tex-Mex Jackfruit, and Curry Jackfruit. Products can be found in the refrigerated meat alternative case at major retailers nationwide including Whole Foods, Sprouts, Wegmans, Raley’s, Smith’s, Shop Rite, Fred Meyer, and Ralph’s. For more information about Annie’s story and The Jackfruit Company, visit Thejackfruitcompany.com and follow them on Facebook, Twitter, and Instagram. Founder of The Giving Keys. 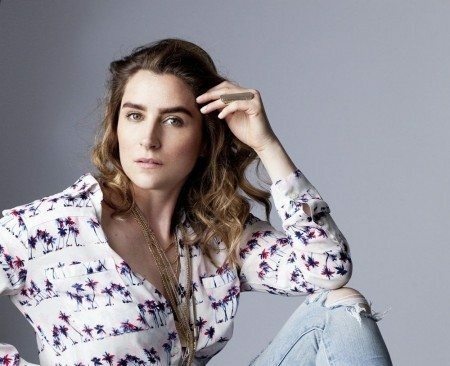 Actress/singer/songwriter Caitlin Crosby was inspired to start social impact accessories brand The Giving Keys while on tour, after re-purposing an old New York hotel key into a necklace. 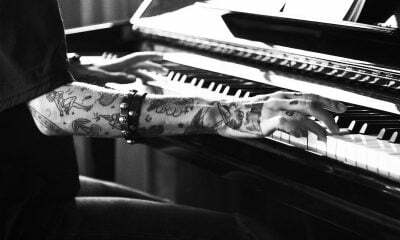 She got the idea to engrave old, used keys with inspirational words and started selling them at her concerts. They soon proved to be more popular than her tour merchandise, and she knew she was on to something. Caitlin formed the full picture of The Giving Keys’ true impact while walking down Hollywood Boulevard. Seeing a young homeless couple sitting on the sidewalk, Caitlin invited them to dinner, where she serendipitously discovered that they made jewelry. In a magical a-ha moment, Caitlin invited them to be her business partners, and started The Giving Keys’ mission to employ people transitioning from homelessness to help create their jewelry. Since founding The Giving Keys in 2012, Caitlin has grown the company into the largest Pay it Forward fashion brand, creating accessories engraved with words like FEARLESS, HOPE, and STRENGTH. 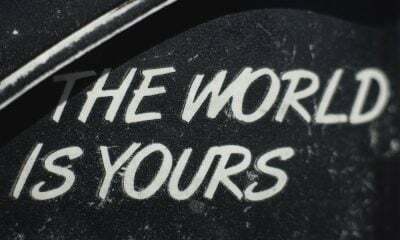 The mission of all those who wear The Giving Keys is to embrace their word, then pass it on to those who need it more. Each key and its passage means so much to the community The Giving Keys has cultivated. People from all across the globe share their experience on the brand’s website, many receiving the keys from strangers they have struck up conversations with or giving the keys to others in moments that forge deeper personal connections. Over the past four years, The Giving Keys has employed more than 45 people who are transitioning to self sustainable lifestyles, gathered thousands of Pay it Forward stories, and gained international presence in 1300+ retailers. Enchanted? Find out more by visiting Facebook, Twitter, and Instagram. At 26 years old, Amanda Slavin quit her career in the New York City lifestyle and hospitality industry to found CatalystCreativ (CatalystCreativ.com), an experience studio mobilizing Millennials and Generation Z through the power of engaging, inspirational and educational events. It all started with a chance encounter with Zappos CEO Tony Hsieh. 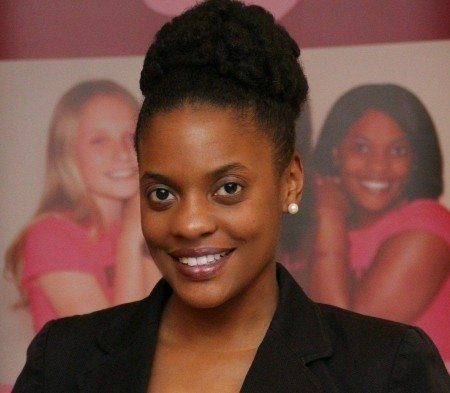 While rising through the ranks of the corporate environment, she felt disconnected from the philanthropic and educational side she had developed while gaining her Masters in Education from the University of Connecticut’s NEAG School of Education. At a conference, Amanda met Hsieh in a small group. After he invited them to visit him in Las Vegas, Amanda took him up on his word, packed her bags, and flew out. Only, when she arrived, he had forgotten inviting her out! Nonetheless, through her conversations with Hsieh, Amanda realized that she was able to merge her expertise in education with her events experience. Hsieh is now a business partner and close mentor. Amanda also founded CatalystCreativ on her core beliefs – that education shouldn’t be limited to the classroom, and that brands are the ultimate educators. 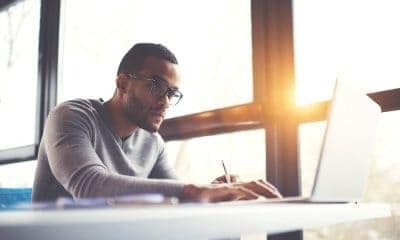 It also plays right into the trend that millennials especially, are hungry for knowledge and are constantly seeking educational opportunities. Since starting the agency in 2012, Amanda has worked with brands and organizations like Coca-Cola, NPR and The Nature Conservancy to engage a younger audience. Just in the past few months, Amanda and CatalystCreativ have curated the Life is Beautiful Festival’s IDEAS component, securing speakers like Shepard Fairey sharing his thoughts on art and the 2016 election and RuPaul’s empowering message on sweet sensitive souls. They also launched the first ever digital campaign from the Foundation Fighting Blindness, bringing on board prominent actors, chefs, journalists to take part in a blindfold challenge with the hashtag #HowEyeSeeIt. CEO and co-founder of Madeira Global. Christina M. Alfonso co-founded Madeira Global, a financial advisory firm specializing in environmental, social, and governance reporting. Christina and Madeira Global are proving that making money and doing good aren’t mutually exclusive, providing hard data on the true impact of company’s socially conscious programs. Throughout her career, before ‘Impact Investing’ – investing in companies that do good in the world – was chic, Christina found that most asset managers and allocators struggled to accurately measure nonfinancial performance. In a world that increasingly placed value on a company’s CSR program, or elevating brands like TOMS that have an intrinsic social mission, she saw a need for objective, independent reporting using technology and analytic tools. At Madeira Global, Christina and her team are the leaders in the financial industry, turning these qualitative factors – the CSR programs, green initiatives, and employee benefits – into numbers, so their asset manager clients can see a well-rounded picture of the companies they seek to invest in. This enables investors to see the value of putting their money behind a company that is reaping social good, while also helping advisors to navigate an increasingly volatile market. Connect with them on Twitter. Journalist, Speaker, CEO and Co-Founder of Kind Traveler. Jessica Blotter launched Kind Traveler, the first ‘Give + Get’ hotel booking platform that transforms travelers into a financial force that benefits communities, the environment, and animals. Travelers ‘give’ to a local or global charity. As reward for their donation, they ‘get’ an exclusive rate to book directly with the world’s best hotels and unique properties. 100 percent of the donations raised on the Kind Traveler platform are given to charity. This new travel site has tremendous potential for positive global impact. Last year alone, more than one billion trips were taken. Kind Traveler is completely different than an online travel agency (OTA), primarily because of the booking process and the manner in which they profile the hotel. Direct booking provides a significant value for the hotel and traveler, allowing them to communicate directly with each other – before, during and after their stay. In terms of the hotel profile, Kind Traveler highlights the property’s local charitable affiliation and ‘Kind Metrics’ – the term they use to explain how the hotel is impacting individual wellness, sustainability, and community. This unique way of telling the hotel’s story communicates a commitment to corporate social responsibility, at a time when transparency is expected from today’s travelers and consumers. Another major distinction between Kind Traveler and other travel booking sites is their desire to educate. According to Phocuswright “three of 10 giving travelers were prompted to volunteer or donate because of something they read, heard, saw or experienced.” Kind Traveler’s blog provides stories that inspire travel while underscoring the importance of giving back, living consciously, and choosing with purpose. See how it works on YouTube, or connect with fellow Kind Travelers at Twitter, Facebook, Instagram, Google+ and LinkedIn. Mom, owner of Cracked Candy LLC. Flora Pringle had the idea for Cracked Candy 3 years ago when she moved to New York from England. She had been teaching science and her first son was six months at the time. She quickly discovered that part-time teaching in New York does not exist and childcare is very expensive. Flora felt lonely and desperate. Then she found out about a natural sweetener called Xylitol that is safe for teeth and diabetics. She had an epiphany – the world needs a healthy candy! 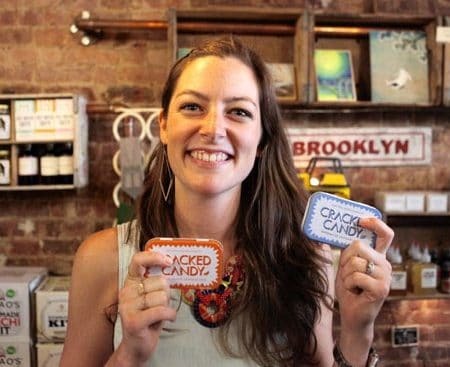 Six months later, Cracked Candy was born and on the shelves of local stores. It is a truly innovative candy not just because it is smashed into shards (hence the name) and comes in collectable tins. It is also non-GMO, safe for diabetics, certified vegan and can help fight tooth decay. Making a product that is good for consumers and has a positive impact on the community are fundamental anchors of the business and what keeps Flora going when hurdles present themselves. She provides work for people with disabilities in her local Brooklyn community through a brilliant organization called Brooklyn Community Services. Making that initial leap was scary at first and having her second child with no maternity cover was hard. But running her own business gives her flexibility. There is nothing like trying to balance a family and work to make one super efficient with every minute you have. She loves that the city she feels so lost in at first. But it has enabled her to do something to benefit others and her family in a way that she would have never considered back in the UK. Cracked Candy is stocked nationwide in stores such as Wegmans, Eataly, West Elm, Stein Mart, and Amazon. If you’d like to talk more give her a shout. Find Flora on Instagram, Twitter, Facebook, and Snapchat @Cracked_Candy. Impact investor, philanthropist, global business powerhouse. 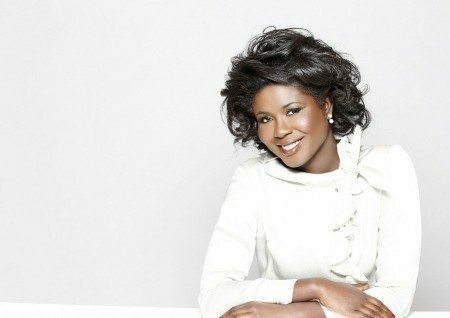 Originally from Ghana, West Africa, Roberta Annan has lived and worked on four continents and founded businesses including Roberta Annan Consulting and Frallain, a charity supporting the empowerment of women within the textile and fashion industry. Roberta is a Senior Advisor at the LJ Partnership and a founding partner of LJ Africa Advisors. Roberta is spearheading LJ Partnership’s strategy to deliver financial services and client solutions across Sub Saharan Africa. Prior to joining LJ Partnership, Roberta worked for the United Nations where she raised funds and established formidable relationships with prominent individuals, government officials, and HNWI’s. While at the UN, Roberta worked in various capacities within different initiatives such as the South-South News, United Nation Development Program (UNDP) – Community and Adaptation Learning Mechanism, United Nations Global Alliance for ICT and Development (UN-GAID). What makes Roberta’s work different is her triple bottom line investments and impact approach. Roberta’s work incorporates three dimensions of performance: social, environmental and financial. This differs from traditional reporting frameworks as it includes ecological and social measures that can be difficult to assign appropriate means of measurement. Graphic Designer, Web Developer, Illustrator. 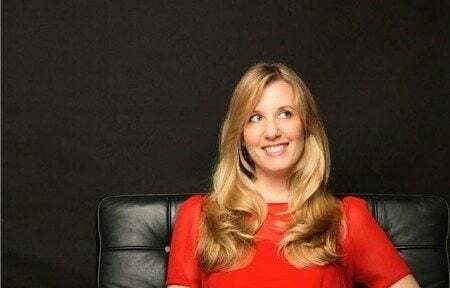 Jessica Greenwalt is the Founder of Pixelkeet and founder of BritePeak a platform that delivers anonymous feedback on your behavior from the people you respect. While in high school, she started a freelance design company which grew into an international design and web development firm. She believes that honest, constructive feedback is the key to personal development and improving the way we interact with each other. It’s unfortunate that people withhold helpful feedback from those closest to them, especially when their feedback could help the people they care about shape their behavior for the better. If we are more open with each other, we can curb our non-productive behaviors before they become destructive to our lives and the lives of those we care about. 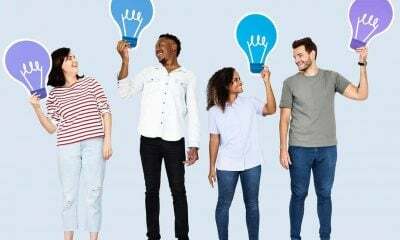 She’s working to make the acts of giving and receiving feedback more prevalent by building a tool that gets people anonymous feedback from the people they respect. An award-winning graphic designer, web developer, and illustrator, Jessica has produced projects for clients including LinkedIn, Marvel Comics, Carnegie Mellon University, Telefónica, University of California at Berkeley, and more. Jessica is one of Inc.’s “10 Women to Watch in Tech”, Tech.co’s “50 Women in Tech Dominating Silicon Valley”, Huffington Post’s “6 Women Rocking Tech for Good”, and Today’s Leading Women’s “Power 50”. Reach out t her on Twitter and Facebook. Founder, CEO at Startup Buenos Aires. 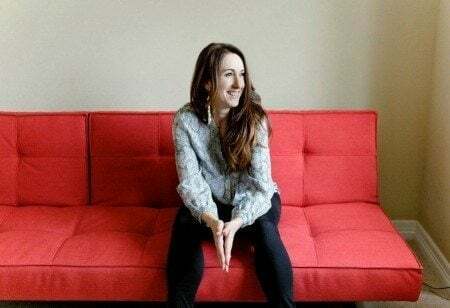 Lisa Besserman, Founder of Startup Buenos Aires, has been named as Business Insider’s “Top 100 Most Influential Women in Tech” as well as the “Business Innovator of Latin America” by the Council of the Americas. 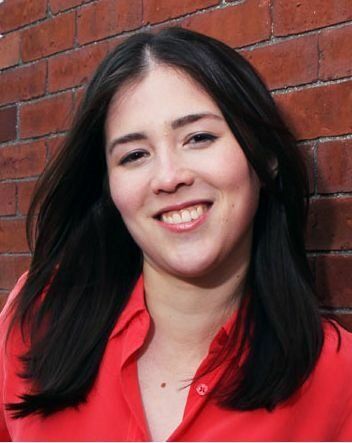 Previously, Lisa served as the Director of Operations at AirKast in NYC, directing the overall operations and client management for one of the largest mobile app development companies in the U.S. She oversaw the launch of over 4,000 mobile applications for Fortune 500 and top media corporations. Lisa has traveled to 50 countries, frequently volunteering in third world nations. She has worked with charities in Nepal, Haiti, Uganda, Japan and New York. Currently, Lisa is the Founder and CEO of Startup Buenos Aires, a community organization aimed to inspire, connect and support startups and entrepreneurship in Latin America. SUBA provides tools and resources to cultivate a strong and sustainable startup ecosystem in Buenos Aires, while serving as an outsourcing hub for Argentina’s top tech talent. 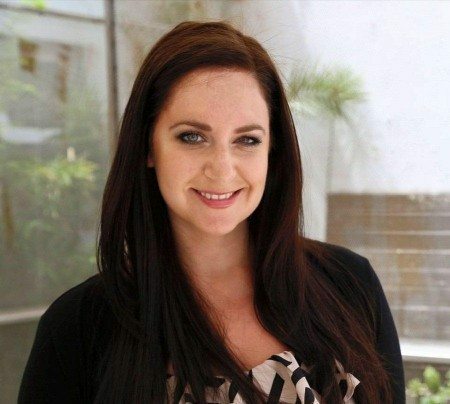 Lisa is an active participant in the global startup community. She is a Startup Weekend and The Next Web Mentor, Internet Week and Tech Cocktail Speaker, feature on Killerstartups.com, and sits on the Board of Directors for Positive Planet Non-Profit Organization. Chantal Pierrat is the founder and CEO of Emerging Women, an international platform dedicated to shattering glass ceilings, closing the gender gap, and encouraging women to take on leadership roles across all industries. After earning an MBA from the University of Colorado, Chantal left a 4-year career in the medical devices industry in search of work that would amplify her dedication to inner transformation and her passion for big, meaningful ideas. In September 2012, she founded Emerging Women and Emerging Women Live in order to support the integration of consciousness and business. Chantal’s ultimate vision is to weave feminine leadership and authenticity into businesses, and to create a world where women have a strong voice in the shaping of our future. Prior to Emerging Women, Chantal served as the VP of Sales and Marketing for a multimedia publishing company focused on spirituality, personal growth, and holistic living. She is the creator of SoulSweat™, a dynamic dance fitness program that combines ballet, jazz, and modern dance with more alternative movement such as Hip-Hop, African, Latin, and wild abandonment. She has been teaching for 12 years, and released SoulSweat, the DVD, in 2007. Luxury Travel and Wellness Consultant, Author, Owner Escape To Shape. Erica Gragg is the co-founder and curator of luxury travel company, Escape to Shape. An accomplished entrepreneur, Erica Gragg is best-known as the co-creator of both Escape to Shape and the acclaimed fitness program Bikini Bootcamp. As a travel and wellness expert, Erica curates each Escape to Shape trip by drawing on her vast knowledge and cultural insight to create a vacation in which minds, bodies, hearts, and souls are transformed. A former New York PR gal, Erica left the city life behind and headed south to Tulum, Mexico, where she co-created the popular fitness program Bikini Boot Camp. In 2007, she co-authored a book by the same title, offering her advice on how to living a balanced life through meditation, fitness, and nutrition. Later, Erica was inspired to expand her vision and travel to the far corners of the world, and she conceived new fitness and travel programs, Escape to Shape and Destination Detox. The foundation of the programs is Erica’s belief in the power of traveling, not only to learn by discovering a new culture, but to rediscover oneself. A “wellness expert to watch” per Condé Nast Traveler, Erica shares her unique philosophy as a contributor to AFAR magazine and has been featured in publications such as SHAPE, Health, and SELF magazines in the U.S.
Creative Director/Founder at Finn + Emma. She is leading the forefront in Earth-friendly baby essentials. Finn + Emma collections aren’t just sustainable; they are also contemporary, whimsical, and sophisticated. There are no boring designs and toxic chemicals here, just an abundance of fresh prints and heirloom quality construction. The main focus at Finn + Emma is bountiful sustainability and Earth-consciousness. Parents choose organic clothing to limit their little one’s exposure to the harmful chemicals often found in non-organic clothing. The choice of organic clothing is also part of a larger trend towards sustainability—nearly 20 percent of all water pollution occurs through the making of non-organic clothing. Finn + Emma uses the finest G.O.T.S. certified organic cotton, eco-friendly dyes, and all-natural wood for their toys. The garments have a generous fit—allowing them to be worn for longer—and accommodate cloth as well as disposable diapers. On top of that, Finn + Emma garments and accessories are produced in fair trade settings that focus on social and economic independence for local people, women especially, working to provide for their families in a safe and fair environment. At every step of the supply chain, producers are paid a living wage and work in safe, humane conditions. Want to know more? Reach out to her on Facebook, Twitter, Pinterest, and Instagram. President and Creator at Mally Beauty. From an early age, Mally’s parents instilled in her the philosophy that the things that make us different are the qualities that make us beautiful—a mantra that has guided Mally Roncal in her every pursuit. Determined to follow in her parents’ footsteps, Mally pursued a pre-med education, but the pull of her first love—makeup—proved too strong. She put aside her plans to become a doctor to follow her true passion: beauty. Mally quickly moved to the top of the “it” list in the beauty world. 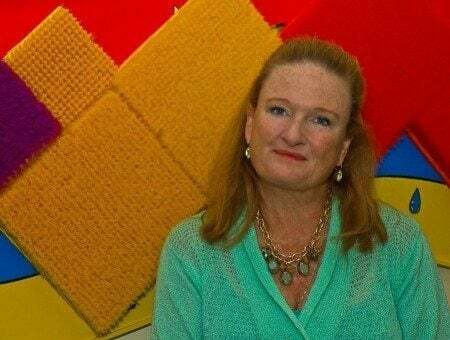 Her passion for art, color, and design—along with her charm, contagious enthusiasm, and magnetic personality—helped her become one of the industry’s most dynamic, in-demand talents. For a decade, Mally traveled the globe doing makeup for some of the most famous faces in the world, including Beyoncé Knowles, Jennifer Lopez, Rihanna, Celine Dion and more. She has shared her advice in top magazines and on shows like Oprah, The Today Show, Rachael Ray, and The View. She then started Mally Beauty on QVC because she wanted to communicate the tips and tricks that she learned over the years of being a celebrity makeup artist to help make every woman feel beautiful. According to Mally, QVC has helped her communicate directly with her Mallynistas via a variety of platforms. She believes that Mally Beauty is different from other brands because the products are a collection of multi-tasking makeup essentials. They are easy to use and can create daytime to ultra-glam looks that instill confidence for ALL woman all day long. 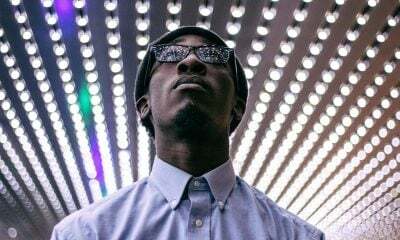 Mally says that “starting your own business is scary, and if you let the fear over power you, you may psyche yourself out of following your heart. Go with your gut instinct, have faith in yourself and follow your dream!” Get to know her more on Instagram, Twitter, and Facebook. CEO/Founder Ava the Elephant® Brand – Shark Tank Winner. 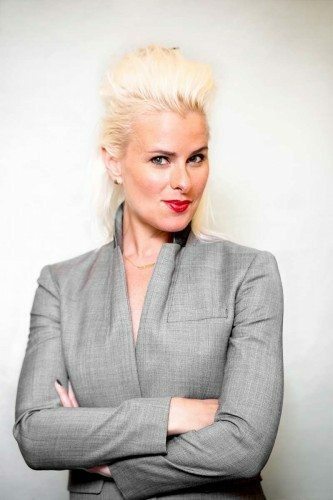 Tiffany Krumins is the CEO, founder and inventor of the Ava the Elephant®brand. Ava the Elephant® is a talking children’s medicine dispenser that takes the fear and anxiety out of administering medicine to children. Tiffany’s passion for helping children has been evident through her years of experience, including the work she’s done with children who have special needs and with childhood cancer patients. It was that same passion which brought Ava the Elephant ® to life! She realized no product on the market resolved the common problem of giving children medicine. She took matters into her own hands and created the first Ava the Elephant from sponges, fabric and a store bought medicine dropper. After seeing the profound effect it had on children she knew she was onto something. After her life changing experience on ABC’s “Shark Tank” she returned home with her investment from Barbara Corcoran and started the process of launching a product. In the midst of it all, Tiffany was diagnosed with cancer three months after the show (at the age of 27). This personal heartbreak only made her passion to help sick children even stronger. Tiffany’s Story has been featured on Forbes.com, Entrepreneur.com, TVGuide.com, YoungEntreprenur.com, Mominventors.com, and many others. She was invited as a keynote speaker for a Disney Social Media Mom’s event. Tiffany was considered one of the Top 50 Mompreneurs by Babble.com. But the highlight of her entrepreneurial career was the time she was invited by the Dr. Oz Show to share her story and product with millions of viewers! Founder of Women Who WOW, the alliance of seriously driven women #bizowners. BELONG to an association of seriously driven women like themselves. Michelle — the undisputed authority on creating clients for your business — never minces words, delivers hard truths everyday and measures her own success by the increase her members see to their bottom line! WOW is full of wildly successful and relentlessly driven women entrepreneurs. They are a melting pot in terms of industry, religion, politics and race… but they are united by their unrelenting pursuit of success… created unapologetically on their own terms. At the helm of WOW, Michelle sets the tone for women in business to accept no excuses (especially their own) and to pursue unreasonable goals… simply because they can. But her confidence in being able to make money on your own terms — without compromising your priorities — is what women entrepreneurs need more than anything else. Being a mom of three teenagers and passionate about her “Mister,” Michelle has built a thriving business without compromising the relationships most dear to her. As a result, WOW is full of what she considers an extended business family… full of women who fiercely support each other and achieve far more than others in their industry. Want to join her cause? Connect with her on Twitter and Facebook. Feeling inspired yet by our female entrepreneurs? It takes a certain kind of grit, passion, and creativity to reach the top. But these female entrepreneurs have proven to us – and to the world – that anything is possible if you’re willing enough to chase after your dreams, and help others along the way. Do you know of other women who made their mark in entrepreneurship? Share your thoughts with us in the comments below!